Kata, Kaizen, DMAIC and Value Stream Re-Design – all Lean improvement methods can be used for Continuous Improvement for Agile and Super7 teams. But what is the best? Which method should we use? This is not an easy question. It depends. It depends on the scale of the desired improvement. It depends on the desired speed of improvement. And, some methods require more specific expertise than others. Super7’s and Agile teams are faced with the question of which improvement method they should use for Continuous Improvement. They are expected to improve autonomously. Therefore, autonomous teams such as Super7 teams and Agile Teams should know these Lean improvement methods, enough to select the right one for the right problem. On earlier posts on this site (www.cooperationalexcellence.nl) you can find more information on this subject. For instance, how Improvement Kata is applied by Super7 Teams. This entry was posted in Kata Coaching, Lean, Service Excellence, Teamwork & cooperative models and tagged agile, continuous improvement, Improvement kata, Super7, Super7 Operations on August 18, 2015 by M.R. van Dijk. Improvement Kata for Agile teams, Agile Squads, Scrum teams or Super7 teams: the Improvement Kata is an excellent tool for all forms of autonomous teams. Agile teams can use Improvement Kata in their start-up phase, to quickly get to the next step of team maturity. They can use the improvement kata to solve issues, impediments and problems. Improvement Kata is also an excellent method for their support staff: Agile coaches, Scrum masters, Lean coaches and Lean Six Sigma Blackbelts. Similar to how Agile develops, Kata improves in small steps and doesn’t plan the whole path to the desired improvement. The desired end state or ‘definition of awesome’ is known. But only the first achievable target condition is determined in advance. No further milestones. Additional to how Agile develops, Kata Improvement put even more emphasis on learning. An experiment may fail, as long as the team has learned from it. Agile does this to some extent, by working on minimal viable products that can be tested in practice. The experiments in the Improvement Kata are even more frequent. Many small experiments ensure continuous learning and continuous improvement. How does Improvement Kata for Agile work? Traditional improvement is project based – see figure 1. The Improvement Kata doesn’t plan the whole route: only the next target condition is clearly defined. See figure 2. The Improvement Kata doesn’t tell you how to get to the next target condition, let alone how to get to your desired situation. It doesn’t tell you which steps to take to reach this year’s target. The Improvement Kata lets you discover the route as you go. See figure 3. More theory and examples of Kata coaching can be found on www.lean.org/kata or in books and you-tube posts of Mike Rother. The improvement Kata shows strong similarities to Agile and Scrum. This makes it the best improvement and problem solving method for Agile teams, Squads, Tribes, Scrum Teams. And it has proven itself for Super7 teams, also. It’s the best way to get to a true learning organization and continuous improvement. This enables you to cope with the ever changing demands of customers and regulators, especially in the current market for Financial Services. This entry was posted in Kata Coaching, Lean, Teamwork & cooperative models and tagged agile, Improvement kata, Kata, Lean, operational excellence, scrum, Super7, Super7 Operations on June 10, 2015 by M.R. van Dijk. The principles of the Improvement Kata can be a powerful and effective way to implement any change, including the implementation of Super7 Operations. The Toyota Improvement Kata, or Lean Kata, is a powerful and proven method for solving problems and driving continuous improvement. And, it can also be applied to implement the change from classical operations to an agile way of working. Recently, I’ve applied the improvement kata for implementing Super7 Operations in an operational back-office. The Toyota Improvement Kata, or Lean Kata, starts with having a vision. Some companies use the term “Our definition of awesome” for this. Others use policy deployment or Hoshin Kanri to translate the companies purpose, mission and vision to yearly goals. When you implement a different way of working, e.g. autonomous lean teams or Super7 Operations, your vision could for instance be to have your teams achieve full autonomy. The next step is then to implement the basics. For Super7 Operations, the teams need to learn how they can plan and organize their work. The 7 principles of Super7 Operation need to be introduced. You don’t have to explain everything, learning by doing is very powerful in the first phase. 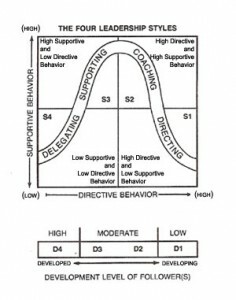 This is in line with the Shu phase of the ShuHaRi approach (see my earlier post on www.cooperationalexcellence.nl). Then, we don’t plan the transition in the classical way. No milestones. Instead, define the next target condition. For Super7 Operation, this translates to the next level of maturity, on all seven principles of Super7 Operations. For this, we’ve developed a high-over description of each of the 5 levels of maturity, for each principle of Super7 Operations. Next to this, the level of autonomy is also taken into account. Finally, the team managers and implementation consultants decide on what experiments may help the team to reach the target condition. The actual action will depend strongly on the level of autonomy of the team. Immature teams benefit from instructions, mature teams will come into action when the right coaching questions are asked. As you can see, this weekly cycle is based on the Improvement Kata. The results so far are very promising indeed. I will certainly continue experimenting with it myself. This entry was posted in Kata Coaching, Lean, Teamwork & cooperative models and tagged agile, Book on Super7, continuous improvement, Super7 Operations on March 26, 2015 by M.R. van Dijk. Implementation of Super7 Operations can benefit from ShuHaRi, the Japanese learning-technique that is often used to introduce Agile Scrum. This way, you can give the team the responsibility for how to apply the principles of Super7, as soon as they are ready for it. Should we ask the people from the shop floor to participate in the design of Super7? As Super7’s are supposed to be autonomous, why not give them autonomy in how Super7 Operations is applied in their teams? These questions often arise when organizations are planning to adopt Super7 Operations. And experience isn’t gained through explaining and training, but through doing. Shu: As a student, you follow the teachings of the master precisely. You don’t have to know the underlying principles. You practice the standard way that the master teaches you. Ha: You are now able to execute the new technique, and you start to recognize the principles and theory behind it. The teacher may help you by explaining the principles to you. You now start to experiment with applying the principles, not only the standard that you have been taught. Ri: You are now able to improve on the standard, by applying the principles. You use your experience to make the technique better for your situation. The principles are so clear to you that you can apply them without help from a master. The ShuHaRi method is now widely used within Scum and Agile software development. Alistair Cockburn translated this Japanese martial arts best-practice to a way to learn techniques and methodologies for software development. In our most recent Super7 Operations implementation projects, we’ve applied ShuHaRi in combination with the Improvement Kata. See my previous posts on the subject of Kata for more information. ShuHaRi and Improvement Kata are combined to give the team weekly target conditions that they can experiment towards, where the focus shifts from instruction towards freedom to change the method as seen fit. But this is perhaps too abstract, too much for one blog post. I will go into my approach to implementation in more detail in the near future. This entry was posted in Kata Coaching, Lean, Teamwork & cooperative models and tagged Lean, operational excellence, scrum, Super7 Operations on February 19, 2015 by M.R. van Dijk. Can you improve performance without operational dashboards? As a consultant, I regularly speak with team managers about their team’s improvement efforts, or the lack of thereof. One cause of stalling improvement that keeps popping up is: “I don’t have accurate data. I can’t do anything about team performance without accurate data.” Of course, performance dashboards can be important for many reasons, for one to give focus to your improvement efforts. But is the absence of performance dashboards a reason not to improve? It doesn’t have to be. An operational team should be given the responsibility to improve their work on a daily basis. Improvement should be their habit. It should feel weird not to be experimenting at any given time. This works best with autonomous teams, which work together on one common daily goal. The Toyota Kata has taught us that these teams should do frequent, small scaled experiments. And that it is equally important that the team learns from each experiment, as that the performance actually improves. To start improving, a team needs time (a bit of overcapacity is needed to improve), and direction. The direction – what should the team’s improvement efforts focus on – could be derived from operational dashboards. But, often just as well, the direction could follow from a vision, translated into ‘target states’ (see The Toyota Kata). 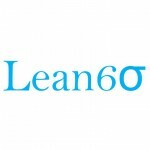 In Lean companies, the vision would be translated through ‘policy deployment’ or ‘hoshin kanri’ in Japanese, other companies would use for instance year-plans. With time and direction in place, all a team needs is resourcefulness and a whiteboard. Well, you could do without a whiteboard, but in my experience it’s a great tool for improving and experimenting. As a manager, ask your teams to start improving with what they know now. In parallel, you can work on perfecting your operational dashboards. Don’t wait for perfect dashboards. Start improving today. This entry was posted in Kata Coaching, Lean, Operational Management and tagged continuous improvement, Lean, operational excellence on April 24, 2014 by M.R. van Dijk.